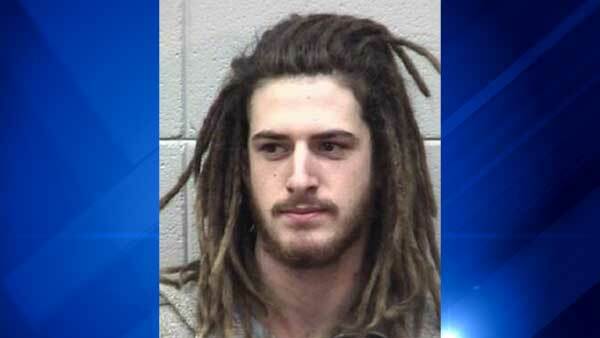 CHICAGO (WLS) -- An Illinois State Police trooper discovered marijuana, LSD and thousands of dollars in cash inside 21-year-old Ryan Watson's vehicle during a traffic stop on I-80. The trooper pulled over a 2008 Chevrolet HHR for speeding on I-80 near Seneca Road in Morris, Ill. around 3:30 p.m. Friday. The officer smelled cannabis inside the car upon speaking with the driver. The trooper searched the vehicle and found 12 grams of marijuana, 25 hits of LSD and $14,950 in cash. Watson, of Summerland, California, was charged with possession of a controlled substance with intent to deliver and unlawful possession of cannabis. He was taken to Grundy County Jail where he waits for a bond hearing.